I hope this newsletter finds you well. Wow, I was so inspired this week by Neighborhood Council leaders stepping up to work collaboratively with Mayor Garcetti and the City Council on the DWP labor contract. The meeting of the Neighborhood Council Budget Advocates and the LANCC on Monday gave many in the system the opportunity to hear about the issues and weigh in both in person and online in front of Mayor Garcetti, who made a surprise appearance. I hope those Neighborhood Council folks who think they don't have a voice in city issues take note that your opinion does count. 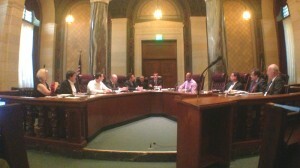 Mayor Garcetti and the City Council were able to move forward with the DWP labor contract, and both Mayor Garcetti and Council President Herb Wesson acknowledged the helpful role of Neighborhood Councils in the process (more info below). A huge thank you to all the players for working collectively to Empower LA! 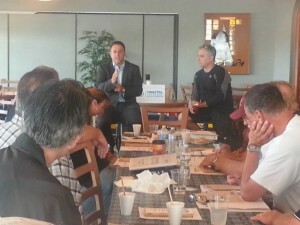 I was already running pretty high from my great time with Coastal San Pedro Neighborhood Council on Saturday. I assisted with their Board retreat where they also had a surprise guest of Councilmember Joe Buscaino, who stopped by and discussed how they could work better with one another. If you haven't had a Board retreat before, I highly recommend it as a good way for your Board to get on the same page about your priorities and goals as well as get educated at the same time. Let us know if you do because we're happy to assist. At the Education and Neighborhoods Committee this week, I was excited to welcome Councilmembers Nury Martinez and Mitch O'Farrell to the committee led by our awesome Chair, Councilmember Bernard Parks. They were able to push through the changes in the elections ordinance as well as the stakeholder definition. I'm hoping we can have everything in place by October. They also moved our Board of Neighborhood Commissioner appointment for the Harbor area, Victor Medina, and Commissioner Karen Mack's reappointment so our Commission will hopefully be back in action in September. I'll be heading out of town on a much needed break next week so I can come back mid-September recharged and ready to tackle elections and the Funding Program again. I've asked our Funding Program Director, Armando Ruiz, to be Acting General Manager while I'm gone. In addition, I'm arranging for some super guest writers to step in the next three weeks to write in the GM's Message spot so stay tuned. Have a wonderful weekend and carry on Empowering LA! Live (in person) Ethics Trainings offered on the evenings of August 28 and 29 in different areas of the City. Planning trainings offered on Saturdays in Harbor City on August 24 (last session). Community Center 3650 Verdugo Rd.